Ms. Schecher was named Choreographer/ Associate Director of Crescendo in 2015, having served as Associate Choreographer since 2011. No stranger to the Bellmore-Merrick Central HS District, Brie was the Choreographer of the annual spring musical at W.C. Mepham High School, for productions including Fame, You're a Good Man Charlie Brown, Rodgers and Hammerstein's Cinderella, Pippin, and All Shook Up. Ms. Schecher has been dancing for over 25 years and continues singing and performing periodically, with a preference for Italian Aria's. She holds a BA in Theatre Arts from Queens College, where she was involved in productions of Fosse, Thriller, 42nd Street, Cinderella, Pajama Game and Chicago. As a Queens College sophomore, junior, and senior, Ms. Schecher was chosen to be a student choreographer for the school's Student Choreographer's Showcase. Ms. Schecher also holds a BS in Nursing from Molloy College, and is a Registered Nurse at Winthrop University Hospital in Mineola. Brie is also an accomplished studio teacher, having worked most recently as a member of the faculty at Center Stage Dance and Creative Arts in West Babylon. Brie was a member of Crescendo during the years of 2000-2003 (as Brie Piccirillo) and is excited to be back and working with such a talented group. Ms. Maino was named Choreographer/ Associate Director of Crescendo in 2017, having served as Associate Choreographer in 2016. She been dancing for almost three decades. Tara majored in dance at Hofstra University, training in ballet and modern dance. While at Hofstra, Tara was involved in the Faculty Dance Concerts each fall and spring, working with a number of esteemed choreographers. Tara choreographed and performed with the renowned student-run clubs, Danceworks and Movom (Mind Over Vision Over Movement), receiving a Dance Faculty Recognition Award for her dedication in furthering Hofstra's Dance Program. 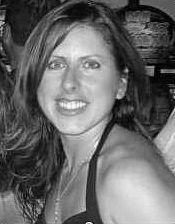 Tara has taught dance to students ranging in ages from 3 to 18 at a studio in Queens over the last 6 years. Ms. Maino holds a BA in Psychology and Dance and an MS in Elementary Education from Hofstra University. She is a member of the Kappa Delta Pi International Honor Society in Education. Tara is a certified Special Education Teacher working in an elementary school in the NYC Public School System. She also holds a Certification in Dance Education (PreK-12). Tara was a member of Crescendo during the years of 2001-2003 (as Tara Maino), and is thrilled to have joined the CCP Team. Dr. McKenna was the Choreographer of Crescendo from 1995-2015. She was named the show choir's Associate Director in 1998, serving in that position until 2015. In addition, she was the Director/Choreographer of CCPDance during its existence from 2000-2002. She holds a BA in English with a minor in Secondary Education from Hofstra University and an MA in Educational Theatre from New York University. She also holds an Ed.D in Educational Leadership, Curriculum and Instruction from The University of Phoenix. Dr. McKenna taught English and Theatre Arts at West Islip H.S., where, from 1998-2015, she directed and/ or choreographed many of their 4 yearly productions. From 1998-2004, she served as the Advisor of the school's chapter of the International Thespian Society, and the faculty contact of the school's Drama Boosters Organization. Dr. McKenna also taught the Syracuse University Project Advance classes at West Islip H.S. From 2004-2015, Dr. McKenna served on the Dance faculty of Center Stage Dance and Creative Arts in West Babylon, where she was also the CEO/Studio Director until 2009. Dr. McKenna was nominated for the Disney Teacher Awards in 2003, and the Tony Awards Educator of the Year Award in 2015. She was honored by the Town of Islip for her work with her school's Drama Club, and by the Nassau County Legislature, the Town of Hempstead, and by Calhoun's chapter of the Tri-M Music Honor Society for her work with the CCP. She was listed in Who’s Who Among America’s Teachers in 2004. Relocating to Florida in 2015, where she is now a school administrator, Dr. McKenna was named Choreographer Emeritus to honor her for her 20 years of dedication to Crescendo.